That’s according to a new survey from harmon.ie, an enterprise software developer. Harmon.ie says it used a formula that “gleans” information from Twitter, SocialMention.com, LinkedIn and Alexa. 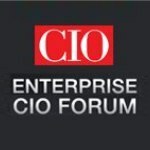 Enterprise CIO Forum CIO, enterprise CIO forum. permalink.